The Argan tree, which once spanned all of North Africa, can only be found in the Sous valley-- a region in southwestern Morocco. 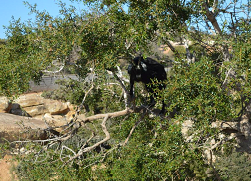 Argan forests have been further diminished by nearly 50% during the 20th century due to a heightened demand for fuel, over-grazing, and conversion to exportable crops. 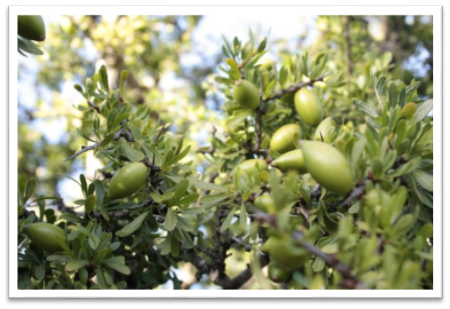 However, Argan oil has strong medicinal and beautification properties. 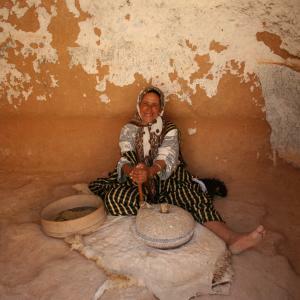 While private enterprises have marketed these properties for commercial sale in North America and Europe, women producers of Argan oil receive very little benefits.